January’s warming parsnip and tomato soup is for six people. Melt the butter in a saucepan and add the onions and garlic, frying until soft and golden, not brown. Add the parsnips, fry for 4 minutes then sprinkle in the flower, add salt and pepper to taste, add the thyme and cook, stirring for one minute. Remove from the heat and gradually stir in the stock and milk. Add the bay leaf and tomatoes with their juice. Stir well. Return to the heat, bring to the boil, stirring all the while. Cover and simmer for 40 minutes, until the parsnips are very tender. Remove from the heat and discard the bay leaf. Allow to cool slightly. Puree the soup in an electric blender or push it through a sieve. 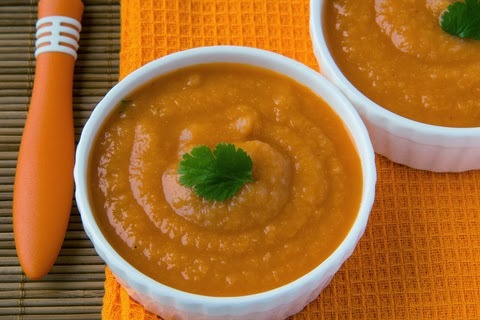 Return the pureed soup to the pan and heat gently – don’t let it boil. Serve with hot bread from the oven.